I remember the potato. It had looked so ordinary, its bland familiarity a comforting contrast to the spread of unusual delicacies that greeted me upon my arrival in the Faroe Islands, the remote archipelago between Norway and Iceland. 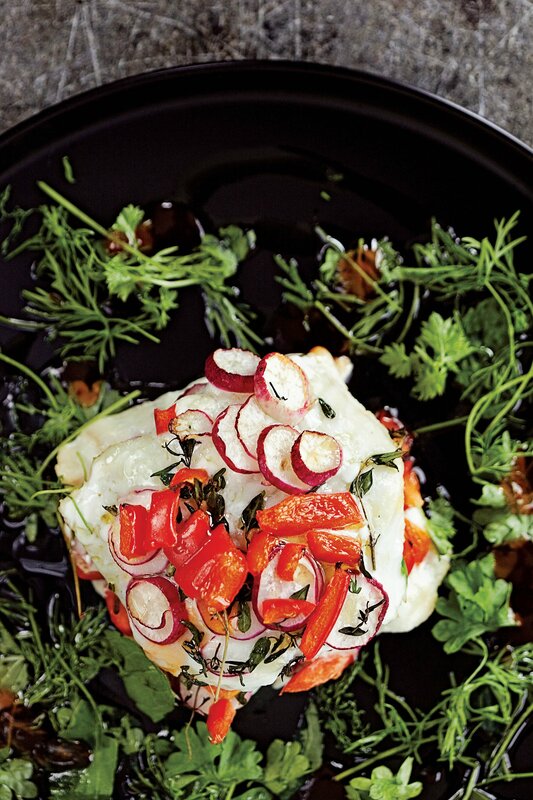 While most of the tourists come for the natural beauty—the windswept vistas, craggy gorges and adorably chubby seabirds—I’d traveled all the way from Tokyo to learn about Faroese cuisine and how it’s transforming into a new style of refined cooking. Three hours after leaving Copenhagen, I found myself on the edge of a cliff overlooking the tempestuous Atlantic, sitting at a table in a small, wooden hut covered with a turf roof. The hut, used for curing meat and fish, belonged to the restaurant Koks, the area’s top fine-dining establishment, located inside the sleek Hotel Føroyar in the capital city of Tórshavn. A whole leg of skerpikjøt—air-dried and fermented lamb—hung from a rod beside the door, along with aged cheese, pilot whale meat and loaf of garnatálg, a rolled sausage made from sheep’s fat and innards. The Koks team had wanted to show me the roots of the islands’ food culture. After explaining the region’s specialties, Johannes Jensen, managing director of the Hotel Føroyar, offered me a platter of waxy new potatoes and instructed me to place one atop a canapé of fermented pilot whale and a square of salt-cured whale blubber the size of a pat of butter. “First the whale meat, then the blubber and last the potato,” he said, layering the ingredients on his plate. The whale meat was the color of onyx, arranged in thin slices that resembled black truffles. The translucent pieces of blubber looked like miniature daikon-radish cakes and gave off a faintly floral aroma. The potato was a potato. “Now, into the mouth,” he said with a chuckle, chewing merrily. “Into the mouth,” I echoed. Living in Japan, I’d encountered whale before in many guises—raw as sashimi (reminiscent of venison), cured as “bacon” (gamy as well as fishy), simmered in dashi broth (persistently metallic) and marinated in soy sauce and sake before being deep-fried (ironically, my least favorite iteration). But I’d never had it prepared in the traditional Faroese way, hung to dry and ferment in the salty sea air until it’s reached the consistency of soft jerky. 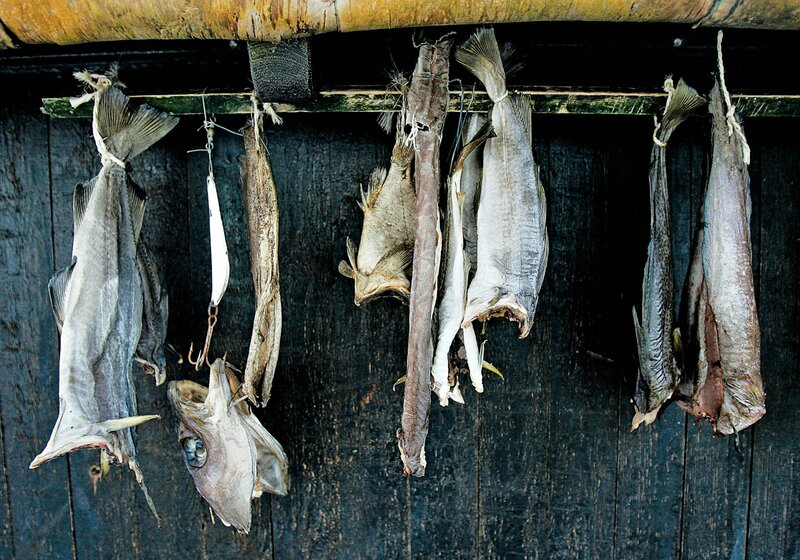 This technique of preserving fish and meat is unique to the islands (before the 1800s, the Faroes didn’t produce or import much salt), a result of the region’s geographic and climatic conditions as well as the scarcity that has historically defined life on the islands. Within seconds my palate was flooded with a cacophony of intense flavors. High-toned treble notes of herbaceous and floral flavors were followed by deeply funky, musky earthiness. The texture was thick and oily, and the potato had prolonged the act of chewing it. The experience remains firmly fixed in my memory. Shocked, no. Confounded, yes. But to say that pilot whale was the most unusual thing that I ate during my time on the Faroes would be false. 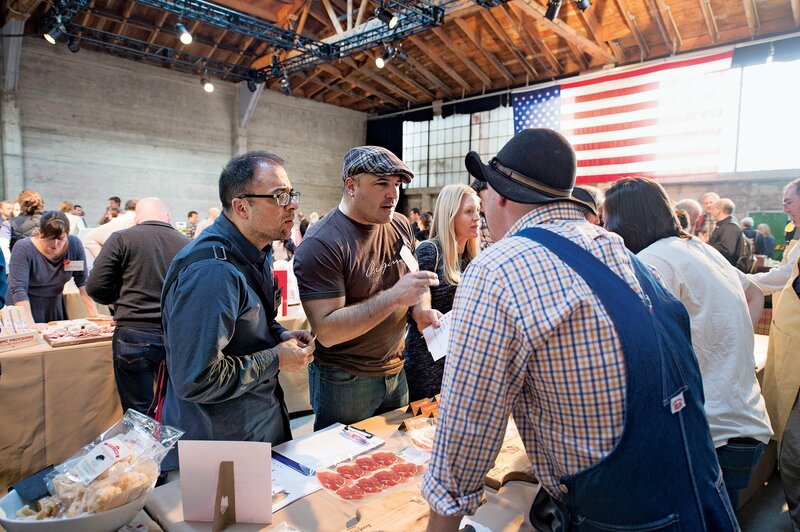 Almost all of the food was unlike anything I’d ever tasted before. There were turnips so sweet that they reminded me of Asian pears; horse mussels the size of my palm, with orange flesh the texture of custard; and langoustine with crystalline meat that tasted of the sea. Faroese fermented foods offered an entirely different spectrum of visceral flavors: dried lamb laced with the tang of blue cheese, and the indescribable pungency of cured whale meat and blubber. Faroese food culture is a culinary distillation of nature’s extremes, a reflection of the contradictions inherent in the environment. On the Faroe Islands, the psychedelic green landscape is veined with streams and waterfalls but nearly devoid of trees. Although the stormy weather regularly turns planes back to Bergen or Copenhagen, the sky can suddenly explode with sunlight, shooting rainbows in every direction. My fascination with the Faroe Islands began two years ago, when my friend Adrien Norwood, an American chef based in Denmark, mentioned that he was going there to do a pop-up cooking event with the avant-garde Scandinavian chefs’ collective NaCL. Thanks in large part to René Redzepi and his restaurant Noma, Nordic cuisine has become a global phenomenon, attracting an unprecedented number of food tourists to Copenhagen and launching offshoots abroad. Noma has even set up shop in Tokyo, albeit temporarily, for a residency at the Mandarin Oriental Hotel from January 9 to February 14. In recent years, New Nordic enthusiasts have started exploring the culinary terrain beyond the Danish capital. Even so, I’d remarked, the Faroe Islands, with its scant population of 50,000 people, seemed like an unlikely destination for gourmets. “The products are amazing,” Norwood replied, describing the giant cod and succulent langoustines. Almost more intriguing, though, were the idiosyncratic dried and fermented foods, which have been made the same way since the 600s. I couldn’t imagine what they tasted like. Faroese preserved foods were born of necessity. Winters on the islands are long and frigid, and even during the temperate summer months, very little grows. According to University of the Faroe Islands professor Jóan Pauli Joensen, who has written a book on the local food culture, prior to the arrival of tubers and root vegetables, edible plants cultivated on the Faroe Islands had been limited to a handful of species, mainly barley and the herb angelica, which was the primary source of vitamin C for early settlers. Sheep, fowl and seafood were the archipelago’s most abundant resources. But without a ready supply of timber, cooking with fire was considered something of a luxury. “Basically, you had drying and fermenting. That’s it,” Joensen said, reminding me that salt was scarce on the islands. The Faroese made “black salt” from dried seaweed, but it wasn’t suitable for preserving food. In light of these challenges, the idea of creating haute cuisine based on Faroese products sounds like a quixotic endeavor, but Leif Sørensen, the region’s most famous culinary personality and former head chef at Koks, has made it his life’s mission for nearly a decade. When I met him in Copenhagen, he was en route back to the Faroes from Greenland, where he’d been researching how to develop the food culture there. When he helped launch Koks in 2011, he tried to “tell the story of Faroese food in a contemporary way” by incorporating traditional ingredients as accents to the dishes. At the same time, he embarked on a project to classify the edible plants that grow wild on the islands and started cooking with seaweed, which, although plentiful, had not been eaten by the Faroese. 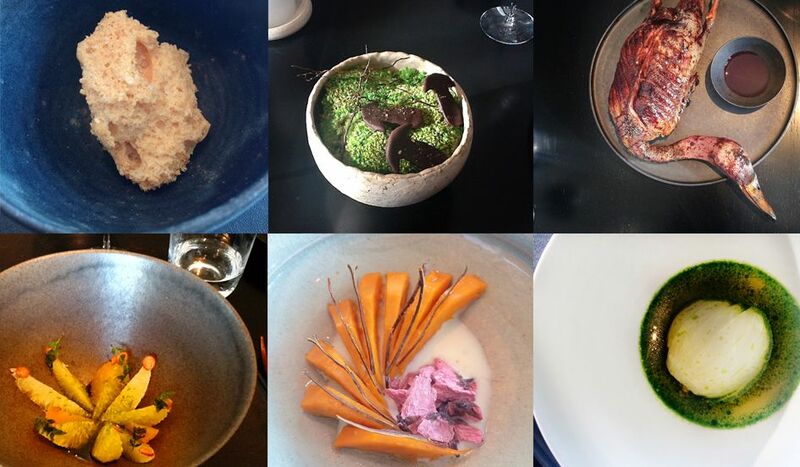 In a sense, Sørensen has been doing more than telling the story of Faroese cuisine. He’s been rewriting it—and turning a tale of paucity into one of surprising bounty. Sørensen’s work has paved the way for a new wave of chefs on the islands, including his young protégé, Poul Andrias Ziska, who has helmed the kitchen at Koks since February. When I dined there in late August, the food Ziska served moved through the culinary history of the islands, artfully presenting the region’s staple ingredients. Cubes of beetroot were topped with angelica, while dots of salted fish were piped onto circles of mashed potato. The flavors I’d experienced at the start of my trip made an elegant return: The depth of skerpikjøt was rendered as translucent, feather-light crisps, and a thin layer of garnatálg was roasted over potatoes in a smoky cheese sauce (fermented whale hadn’t made it onto the menu, to my relief). At the end of summer, the focus was on seafood: crab, veiled in thinly sliced turnips and drizzled with a concentrated crab oil, and langoustine, lightly smoked in hay and quickly pan-fried so that it was still rare in the center. A dish of sweet scallops and cauliflower had been dusted with a fine powder of sea tangle seaweed that gave off a flavor and aroma reminiscent of truffles. Before leaving the restaurant, I took one last look at the city of Tórshavn below. With its gently twinkling lights and quiet harbor, the view was so different from the chaotic, neon cityscape I was accustomed to in Tokyo. In the distance lay an island shaped like a whale, and beyond that, the rest of the world. I couldn’t help feeling that I’d landed at the edge of the earth, a place of improbable possibilities. “I’m sure you would like whale meat if you tasted my recipe,” Sørensen later joked. Maybe.